The website New Music Box has posted a rich, dense series of text and recordings from the Austin New Music Co-op's landmark performance of composer Cornelius Cardew's "The Great Learning," for "trained and un-trained" musicians and voices. The post includes an interview with the performance's principals, generous clips of the performance, program notes, and score "reductions." Do check it out. Friend-of-the-show Chris Forsyth interviews the wonderful and long-practicing "ghost blues" guitarist Loren (formerly "Mazzacane") Conners over at Tiny Mix Tapes. The site also includes a couple nice clips of the music of each, upon the eve of the release of Chris's new record. Catch the release show July 14 in Philly, at Aux space. Brief but intriguing interview at the tumblr site of the New Museum in NYC with past PSF performer Spencer Yeh (Burning Star Core) and Graham Lambkin (they perform in a duo at the New Museum tomorrow night). Discussion coalesces on the subtle distinction between calling oneself a musician, someone who works with music, or someone who works with "sound." Worth a read for sure. 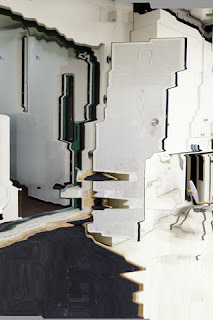 Austrian composer Florian Hecker has done it again. With every release he does, he completely screws with your expectations and continually pushes the boundaries of what can be done with electronic music. Chimerization is no exception, a series of three compositions for voice and computer recorded in anechoic chambers (to "prevent interferences in communication as well as in the phenomenon that the absence of audible reflections can have on perception and in the issuing of one's own voice.") while in residency at MIT in Cambridge, Massachusettes. Three readers read text from philosopher and writer Reza Negarastani in English, Persian and German, which then get processed by Hecker on custom built software. The results are both challenging and fresh and deserve a listen by any fan of electronic music and psycho-acoustics alike. The downloads are separated by language, but be sure to grab them all as they're all completely different from each other. Check it out here! A lengthy, informative, and insightful (including plenty of gear geekery) interview with generative-rhythmic guru Mark Fell, of snd and the new Sensate Focus project, is up at, of all places, the website for some sort of Red Bull-affiliated electronic music academy. "Or the idea that the performer isn’t trying to display, or engender feelings of excitement or ‘getting into it’. Around that time both Mat and I made a definite decision never to nod our heads on stage in time to music. When we first started doing it, you kind of get into it, you start nodding your head, and it is a bit of a signal to the audience that the performers are enjoying it. But what’s going on in that kind of relationship? It’s like prompting the audience to respond in a certain way, or to have some assumptions about how we’re relating to the music. So yeah, since that point, neither of us have nodded our heads on stage in time to music." Have we shared this before? A lovely, simple tumblr collecting a number of great experimental, noise, and jazz live videos. Covering a pretty wide spectrum of material, it rewards dipping in anywhere. We've been slightly remiss in not sharing this earlier, but then again it keeps getting added to daily, hilariously. Some anonymous internetizen (someone tell us who!) 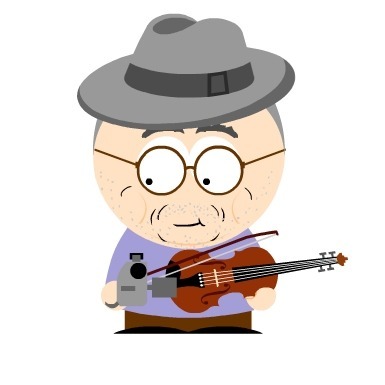 has been creating caricatures of various noise music figures as "South Park" characters, including plenty of pals of PSF and people we've presented.